The privately-owned Newcastle Agri Terminal (NAT) in New South Wales, Australia, is a major grain port development. It commenced operations early in 2014, aiming to set new standards in grain loading and rail discharge speeds, while minimising dust emissions and noise generation. 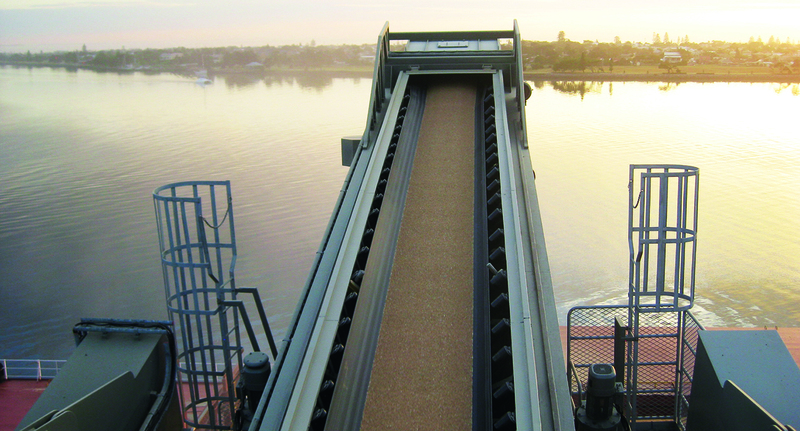 The new grain export facility – located within the Carrington precinct of the Port of Newcastle – needed a ship loading system that met strict requirements for efficient, safe, dust-free grain handling. The state-of-the- art facility was designed to introduce technology that would minimise the environmental impact of moving bulk commodities through the port. 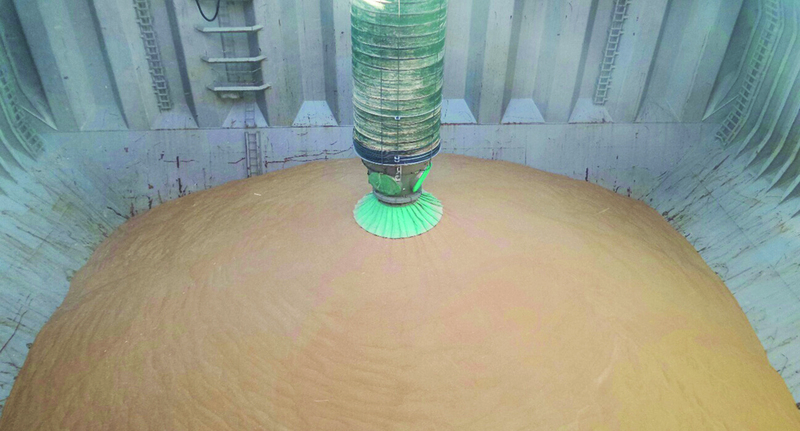 At the same time, it needed to minimise cargo degradation incurred during bulk handling operations; an important consideration for all grain-handling systems. A heavy duty travelling-belt type Siwertell SBL 1600TT ship loader was chosen for the new facility. The unit has a belt width of 1,600mm and is designed to load Panamax ships up to a maximum size of 60,000 dwt and a maximum beam of 32m. The loader is fitted with a Cleveland Cascade chute, which controls the speed of the bulk material as it’s loaded into open hatch vessels. This has the dual advantages of reducing dust emissions to a minimum while minimising cargo degradation. The 238-tonne ship loader was delivered to Newcastle by a geared heavy-lift vessel as a fully-assembled, tested and commissioned unit. 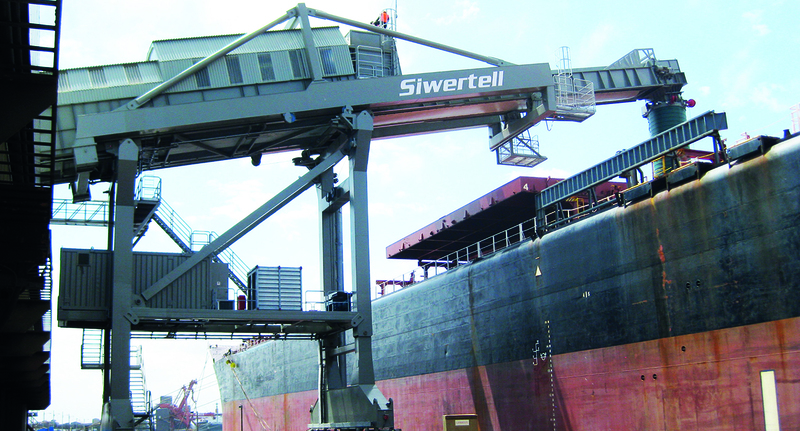 Siwertell also supplied a jetty conveyor with a cover belt and tripper discharge arrangement, which makes the installation a highly compact and completely enclosed solution. The terminal commenced operation in February 2014 and NAT says that it fulfils its ambition to deliver innovation and efficiency to Australia’s grain supply chain. 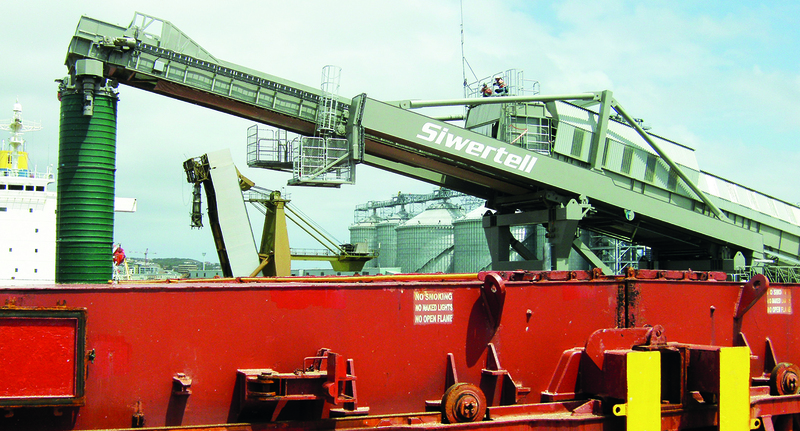 NAT’s consortium of owner-investors is pleased with the performance of the Siwertell conveyor system and ship loader, along with the cooperation of Siwertell. The new facility can store up to 60,000 tonnes of grain and has the capability to unload trains and load vessels at 2,000t/h in an efficient and environmentally friendly manner.